For breakfast make chickpea flour pancakes, wraps or burrito bowls. Assemble burgers with patties made using black beans. Beans make wonderful meat balls. Add lentils, beans, peas etc to soups, salads and casseroles. Eat steamed edamame beans as a snack. Dried fruit has tons of fiber. Add it to your baking recipes or eat it as is for your mid morning/mid-afternoon snacks. Brown rice contains nearly 3.5 g per cup. Here are 17 ways to eat more fiber by eating more brown rice. If you aren’t a fan of brown rice, try mixing it with some white rice in 50:50 ratio in the beginning until you get accustomed to its taste and texture. Mix all ingredients and eat with toast, hot cereals or yogurt. Many low carb fruits contain tons of fiber. Raspberries have nearly 7 g per serving. Cooked carrots and peas (1/2 cup each) contain nearly 3-4 g. Oranges also contain 3-4 grams per serving. Here is a high fiber foods chart for reference. Also include 1-2 servings of fruit and veggies with each meal.Eat vegetables raw instead of making them into juices. To get even more; eat them with a bean dip. Wash them well so you can eat them with the skin intact. Here are some fruits and veggies highest in fiber: apples, figs, prunes, plums, Brussels sprouts, cauliflowers etc. Nuts and seeds are wonderful additions to your high fiber diet plan. Depending on how much fiber you need per day, add these to your main meals as well. A quarter cup serving of sesame, sunflower, almonds and peanuts contains 3-4 grams. Fiber supplements containing psyllium husk, inulin or methylcellulose are readily available in the market. They give around 3-5 grams per serving. Replace white bread with whole-meal, granary or oatmeal breads. 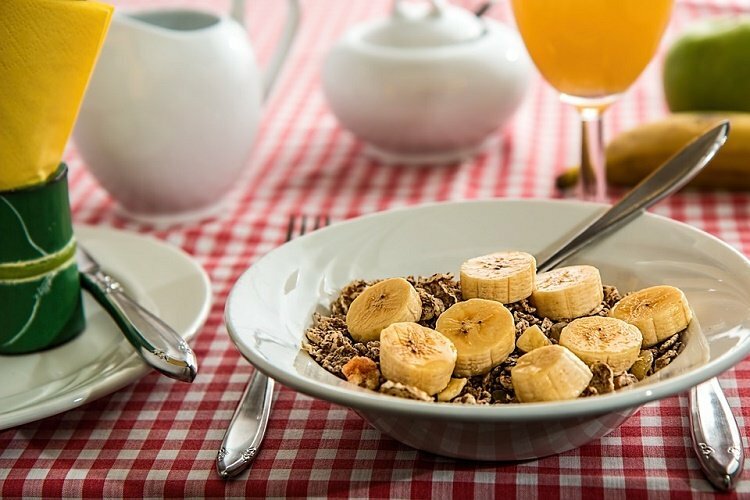 Choose bran, muesli or porridge over rice or corn cereals. In place of white rice and pasta, go for whole wheat varieties. Instead of snacking on cream crackers or rice crackers, choose rye crisps, oatcakes, nuts and seeds. Add a new food once a week to your diet. Make sure you drink plenty of fluids when eating high fiber foods. Do not eat too much one day and very little the next day. If you feel gassy or bloated, increase your physical activity to prevent cramps. Use these 10 easy ways to get more fiber today.